Pumpkin spice and everything nice. | Oh Look! It's A Blog! The kitchen is made to fit in the Scarlet Creative – Magicae House which is based on the house from Practical Magic. You can pick up the entire building as well as the kitchen at either the Hive or Scarlet Creative main stores. (They are insanely cheap at the moment!). 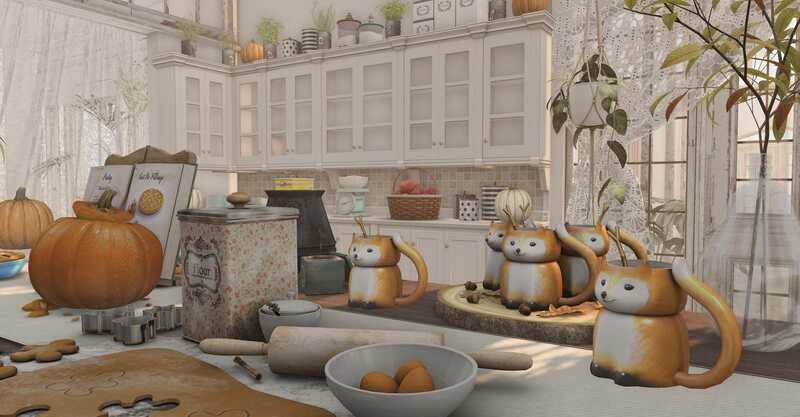 I was also obsessed with these little fox mugs from What Next that were out for the past round of Fifty Linden Friday. If you didn’t grab them then, you may have to pay a bit more than 50L, but they are SO very cute. * I did my best to break up the credits as much as possible so they were easier to figure out what was what. If there are any questions though, please ask. * I also tend to use a lot of gacha items when I decorate. Stove, Cabinets, Sink, Over-sized Island. 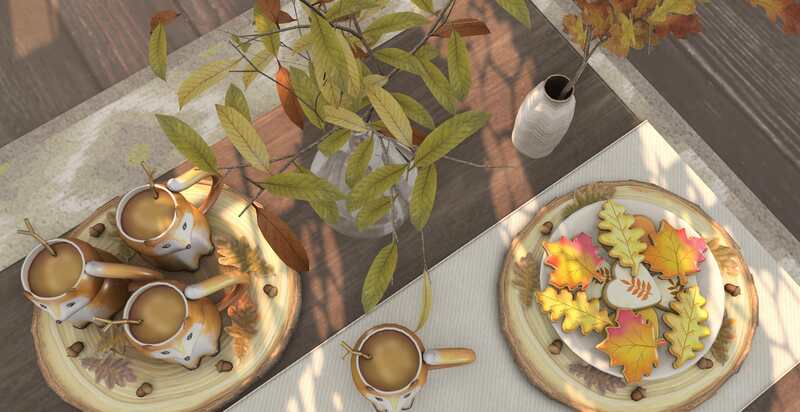 This entry was posted in iheartslFeed, Uncategorized and tagged (fd), 8f8, Aloe, Apple Fall, Atomic, autumn, blog, C88, Cheeky Pea, Clutter, Collabor88, Decor, DRD, Dutchie, Fall, Fancy Decor, Furnishing, Gacha, Half-Deer, Hive, Home, house, Interior, Interior Decorating, Kitchen, KKs, Magicae, mudhoney, Pixel Mode, Practical, Practical Magic, Pumpkin, Pumpkin Spice, Pumpkins, Random Matter, Sari Sari, Scarlet Creative, Second Life, SL, Tarte, Trompe Loeil, what next, [DECO]. Bookmark the permalink.